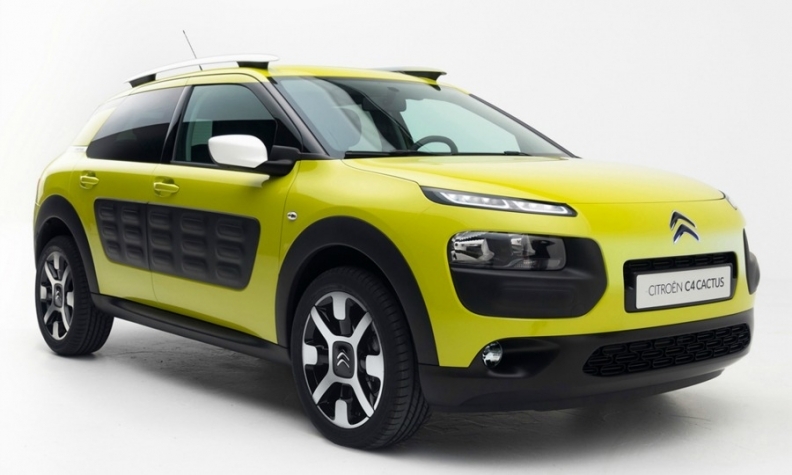 The C4 Cactus (shown) is Citroen's No. 3-selling model in Europe after the C3 subcompact and C4 Picasso minivan. PARIS -- A Citroen C4 Cactus diesel car made by French carmaker PSA Group is producing emissions that are much higher than allowed, according to a study by the Joint Research Center, a laboratory linked to the European Commission, French daily Le Parisien reported on Tuesday. The newspaper, which says it saw a copy of the study, reported that outdoor road tests on the C4 Cactus BlueHDi 100 in Spain and Italy showed that the vehicle emits up to 585 milligrams of nitrogen oxide (NOx) per kilometer, compared with the maximum 80mg/km allowed by EU emissions rules. "We are surprised by these results, of which we have not been informed and whose format we are not familiar with, while similar vehicles, equipped with the same engine, have been tested by French authorities and obtained results that were perfectly in line with regulations, in particular under outdoor driving conditions," a PSA spokesman said. He was referring to emissions tests ordered by the French government last year in the wake of German carmaker Volkswagen Group's emissions-cheating scandal.